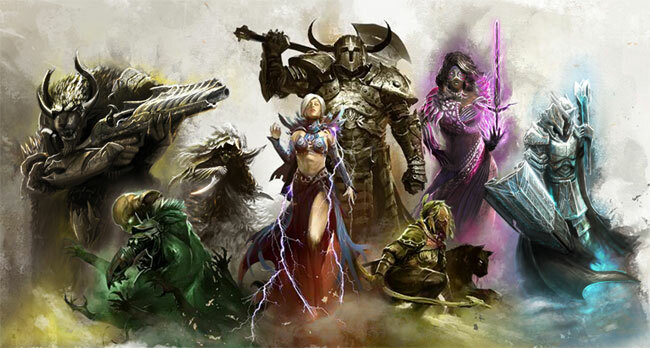 ArenaNet studio has decided to rejoice the players who always wanted to try the popular MMORPG - Guild Wars 2, - but didn’t have an opportunity to do it. Now, they’ve got an excellent chance to get acquainted with this project. According to the official information, during a week, everyone will be able to play Guild Wars 2 for free. And right now, we will tell you what exactly you should do in order to enjoy the game. So, you can participate in the Guild Wars 2 free trial by following a few simple steps. Firstly, you need to register on the project’s site and create a special trial account. Next, you have to confirm your email address, download the game and install it. That’s all! Now, you can dive into the world of Tyria, which is filled with thrilling adventures and quests. It’s worth mentioning that not only the newbies but also the experienced gamers, who have a trial account and participated in the same previous event, can take part in this demo. The Guild Wars 2 free trial starts on September 25th and ends on October 1st. Besides that, ArenaNet has detailed some limitations, which will be running during the trial. For example, you’ll be able to communicate with the gamers who have added you to the Friends list only by whispering or sending a mail. The chats, the trading and the battles in the WvW mode will be restricted too. Do you want to play Guild Wars 2 for free? Will you register for the trial?